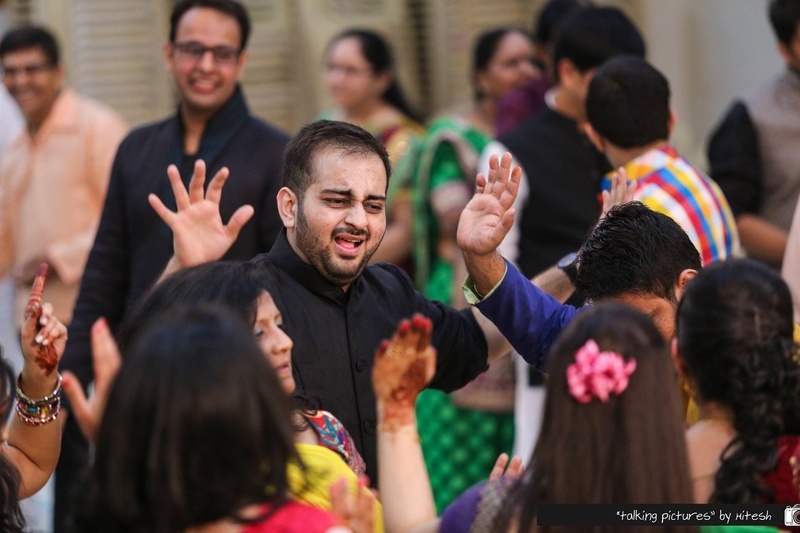 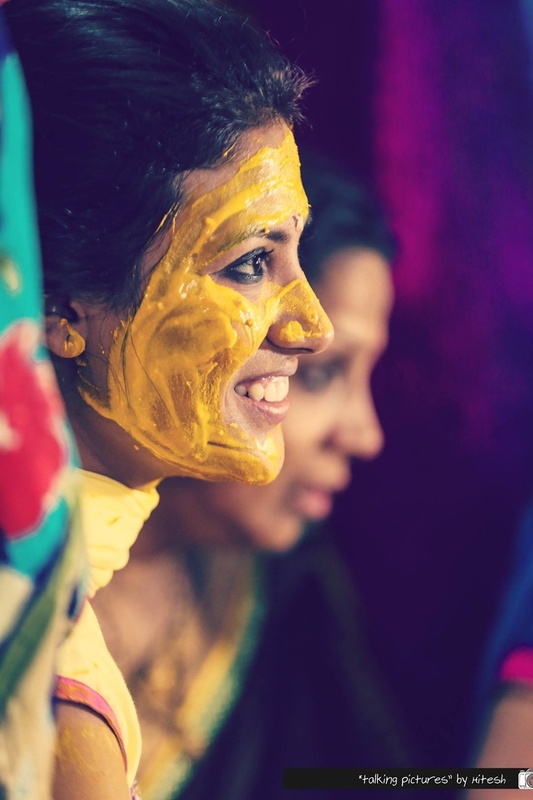 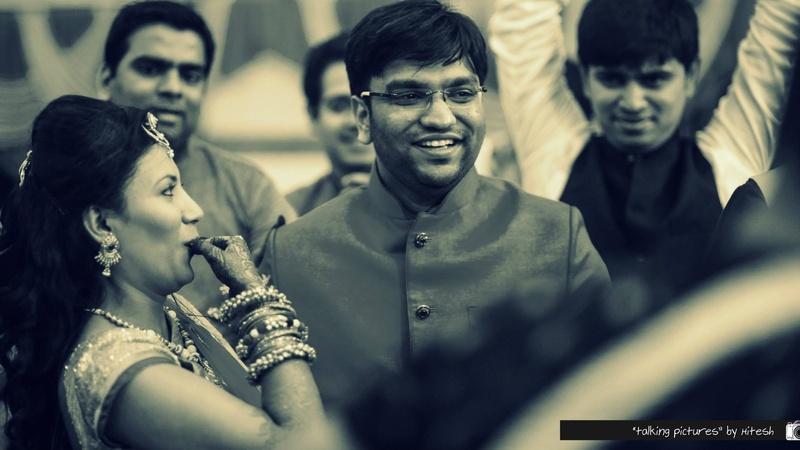 Every aspect of a traditional Gujrati marriage was witnessed in Rachna and Umang’s wedding celebrations. 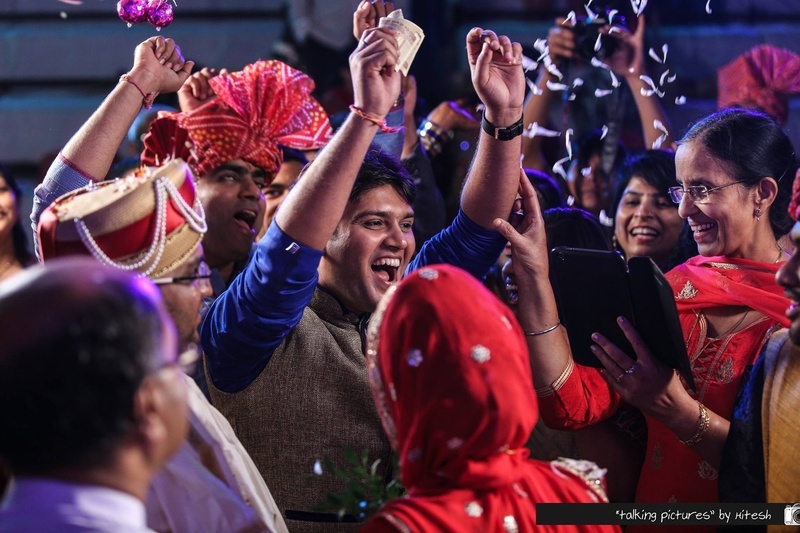 The white and red Panetar, the heirloom jewellery, the rituals, the entertaining baarat – every aspect of their Gujrati wedding was done with simplicity and style. 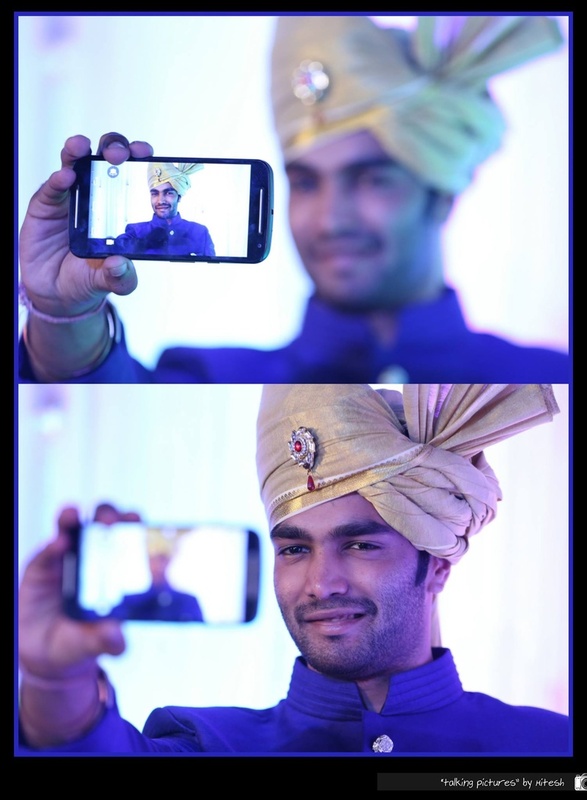 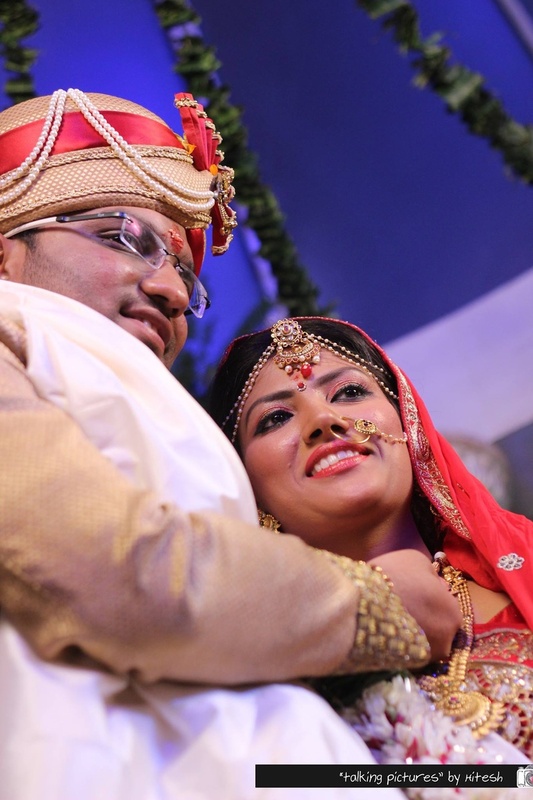 Their sangeet ceremony was held in a brightly lit banquet hall decorated with blue and gold drapes. 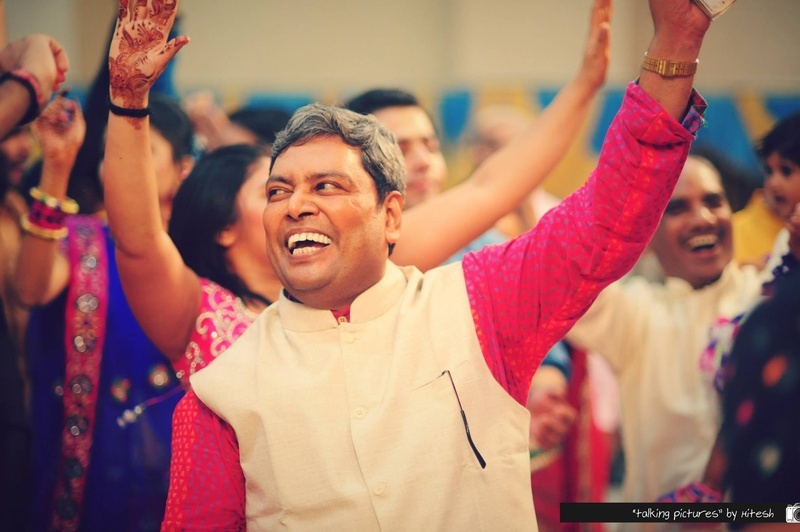 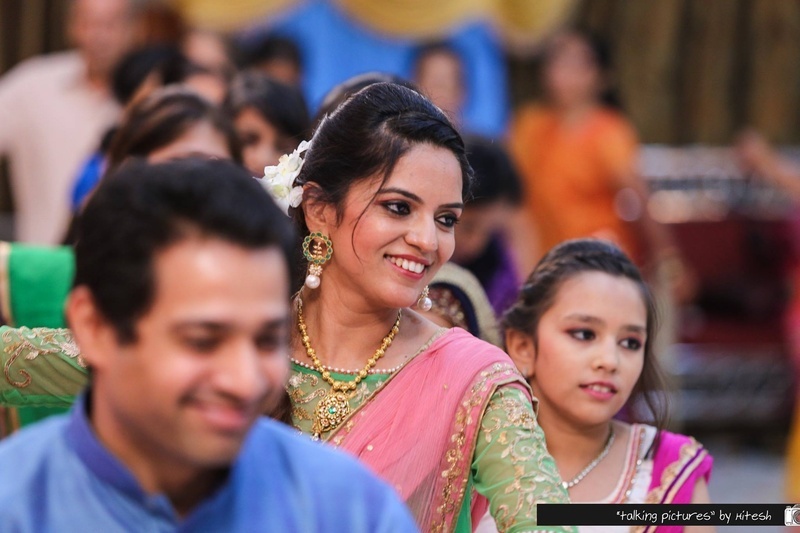 Rachna and Umang sat together and watched their friends and loved ones perform, following which the whole banquet hall turned into a dance floor. 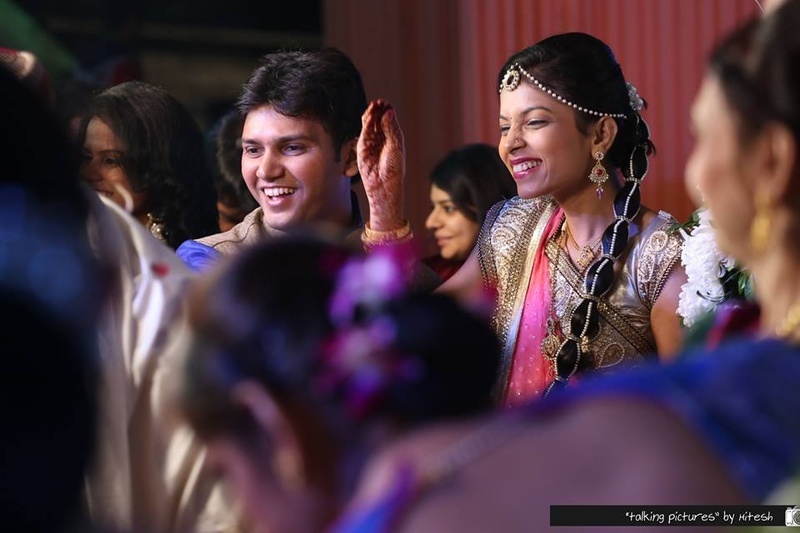 Every person present there danced to their hearts content in celebration as Rachna and Umang evoked on this new journey together. 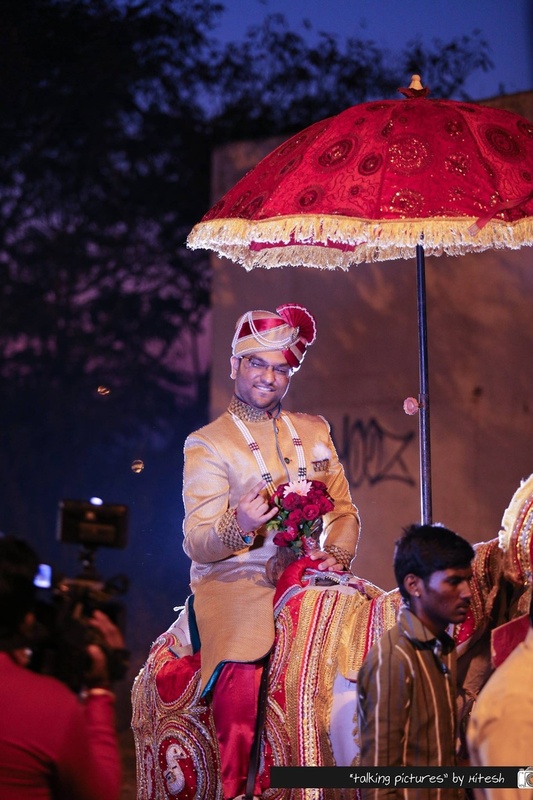 The handsome groom entered the venue riding on a white horse in the midst of lively baaratis, wearing a textured gold bandhgala sherwani, ready to marry the love of his life! 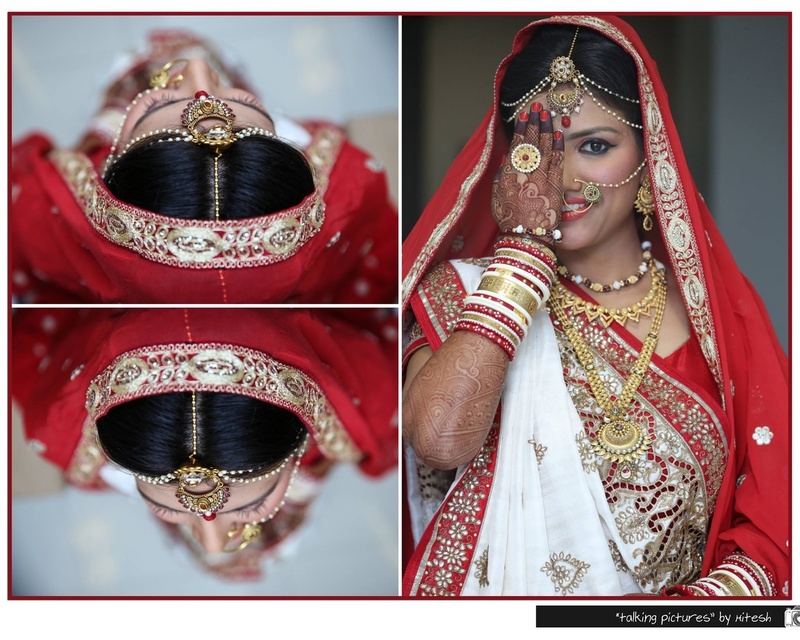 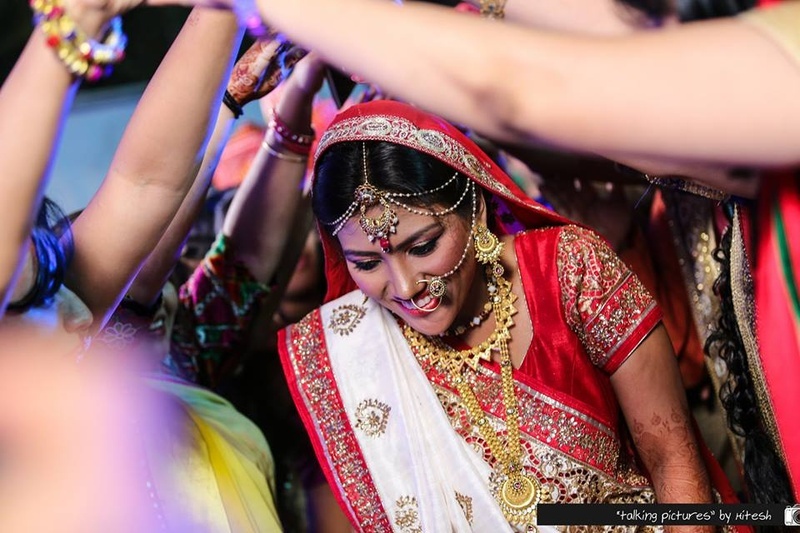 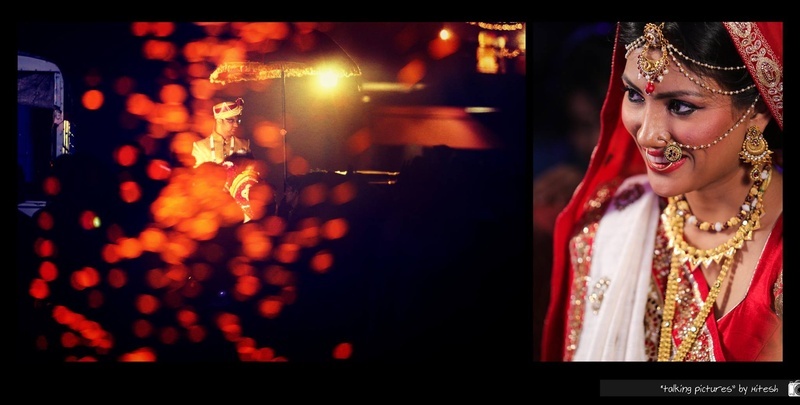 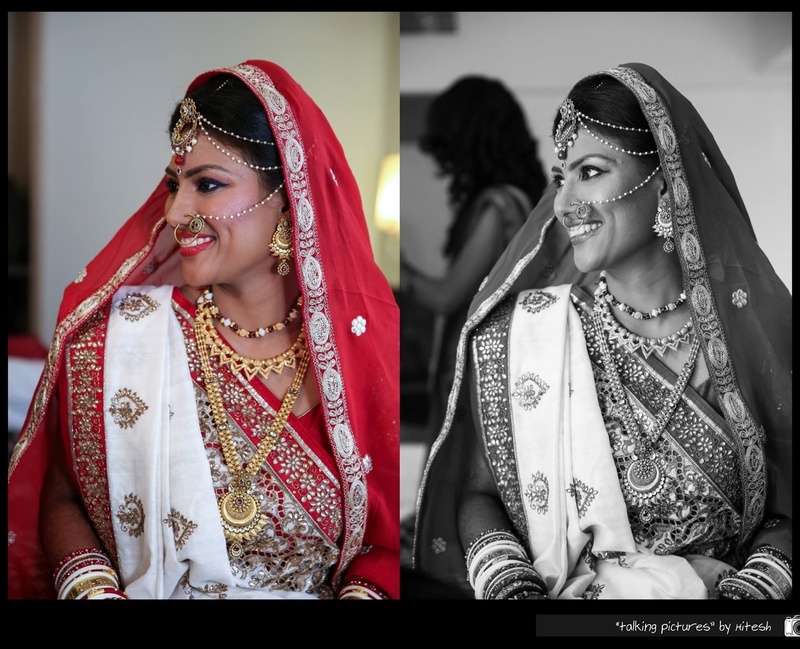 Rachna looked like the perfect gujrati bride in her traditional red and white panetar. 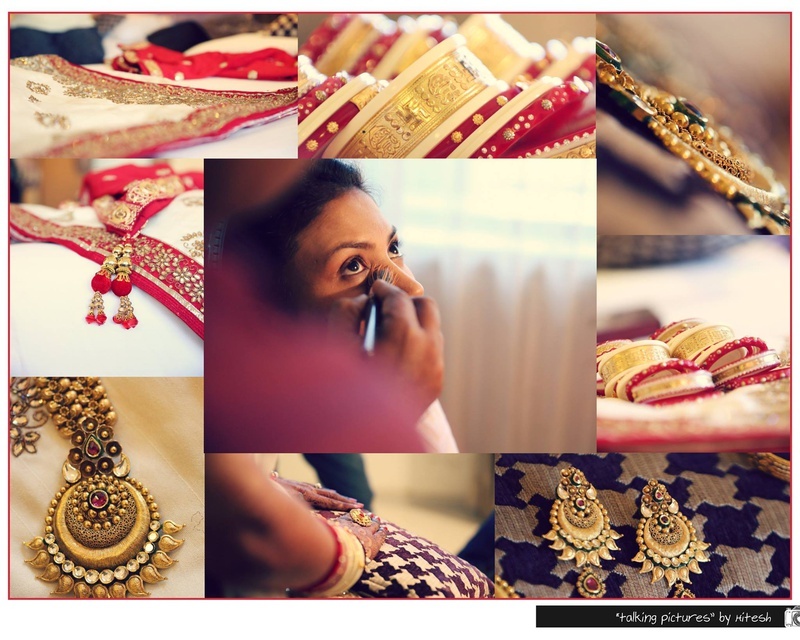 The intricate cutwork on her bridal saree paired with the heirloom gold jewellery made her look like royalty. 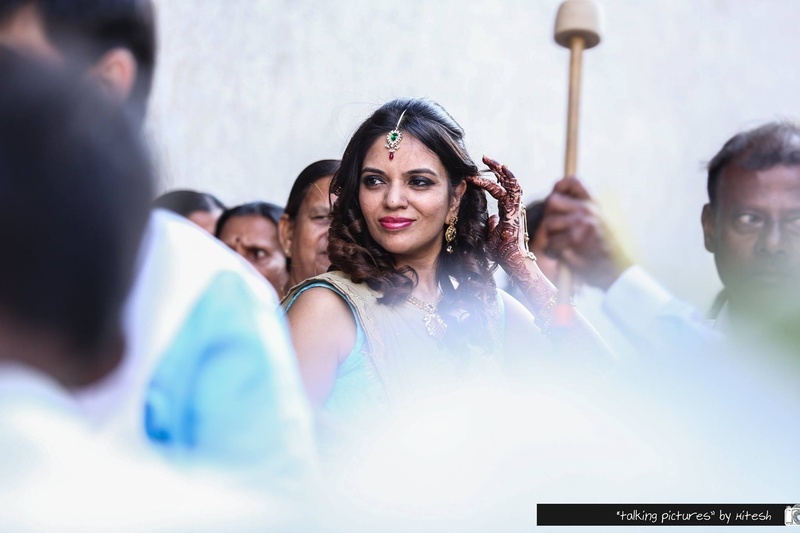 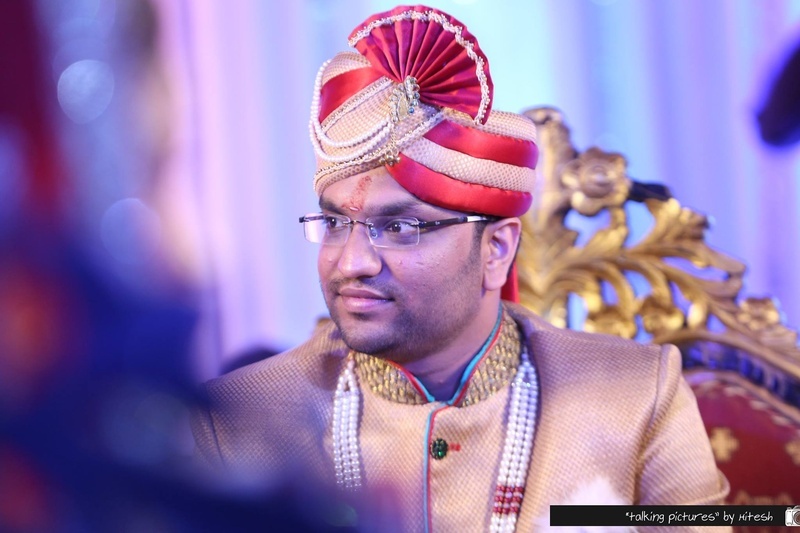 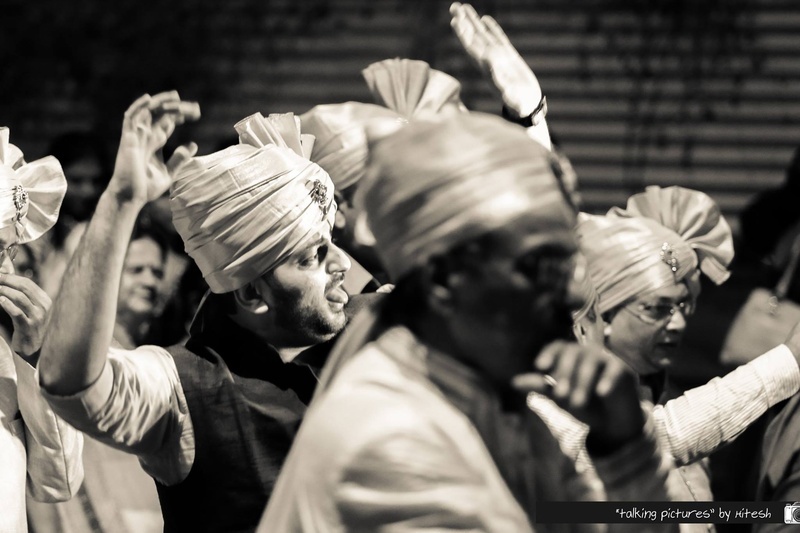 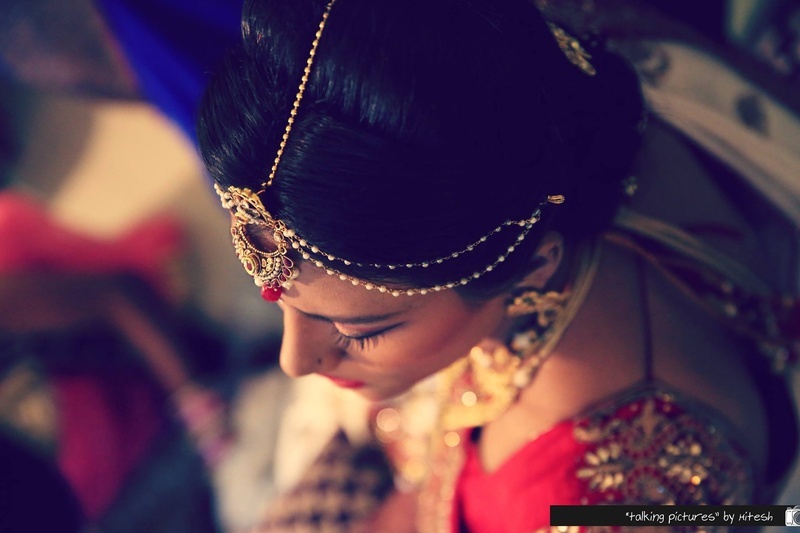 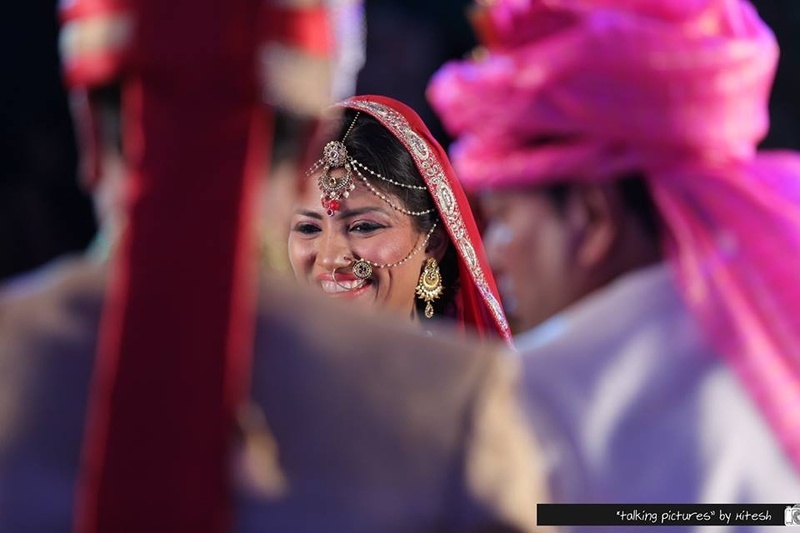 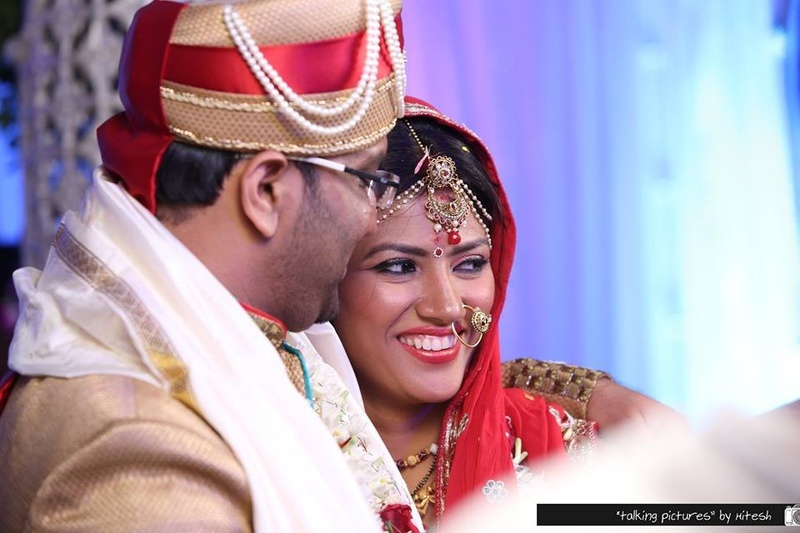 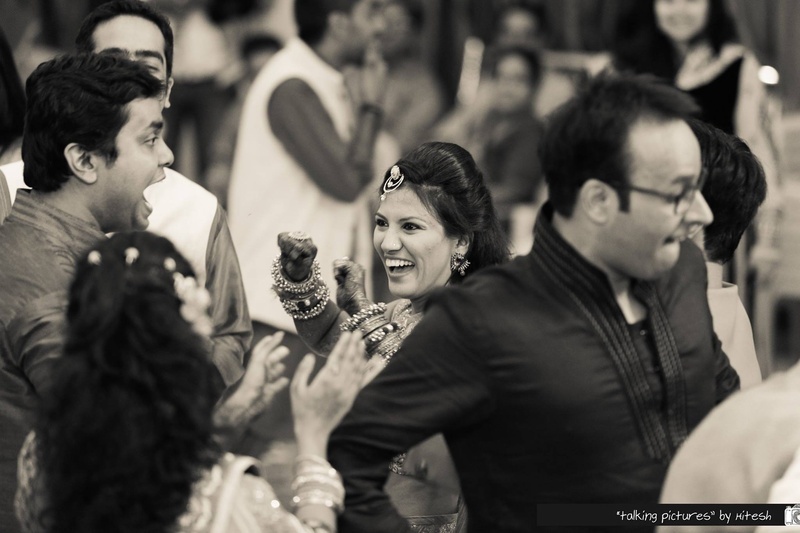 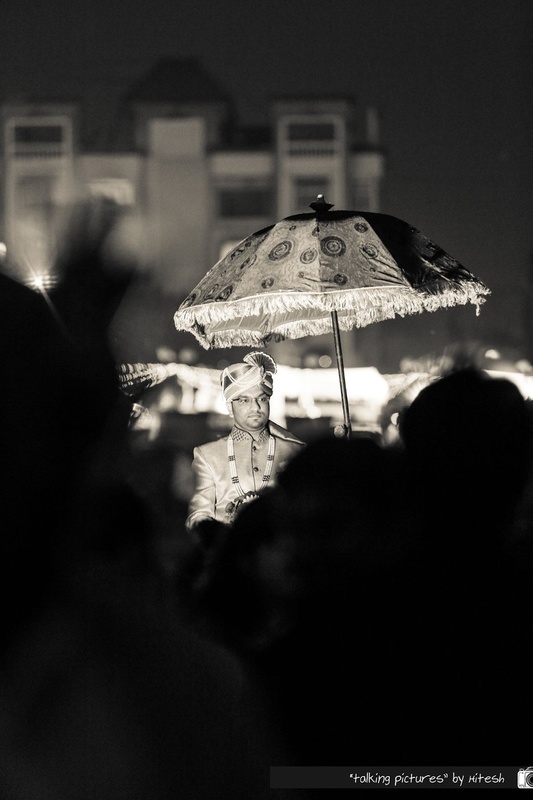 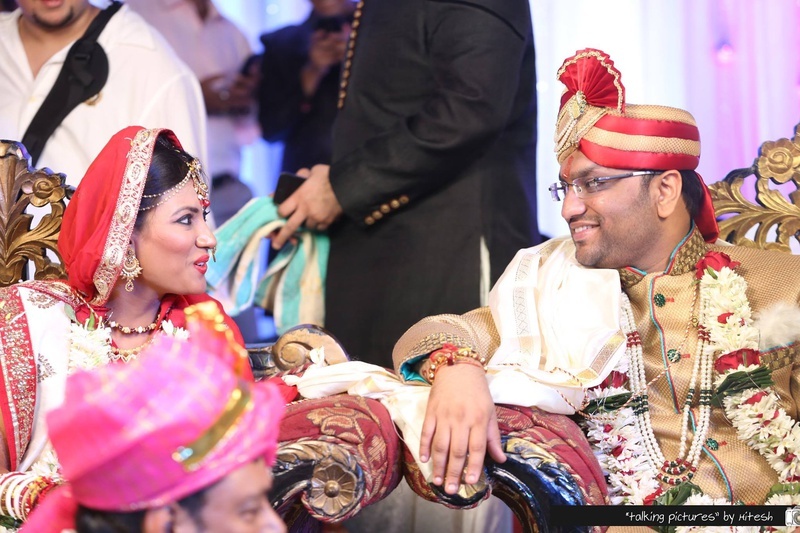 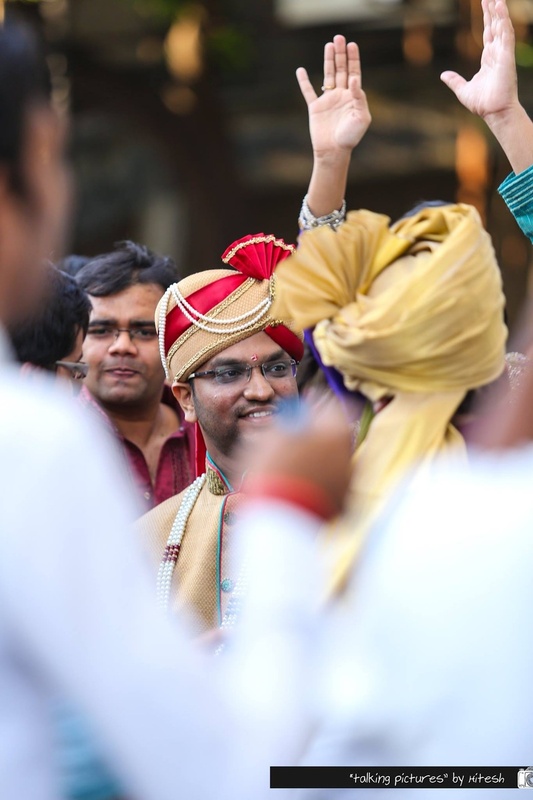 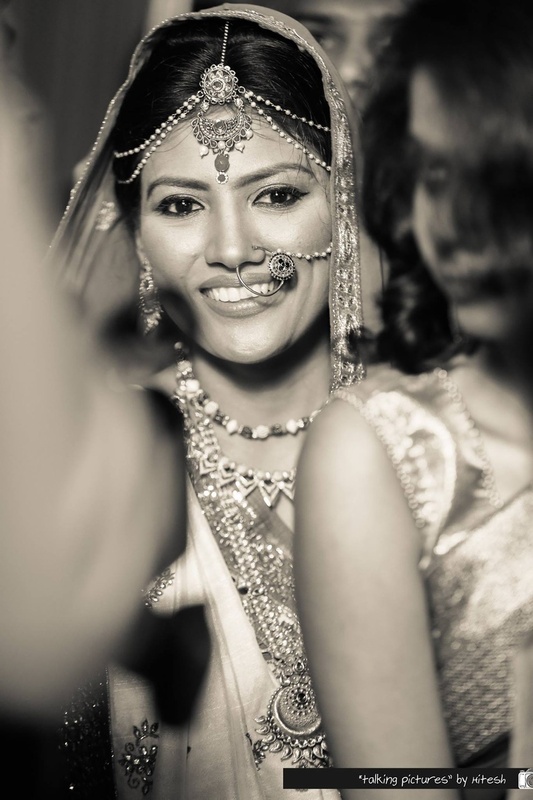 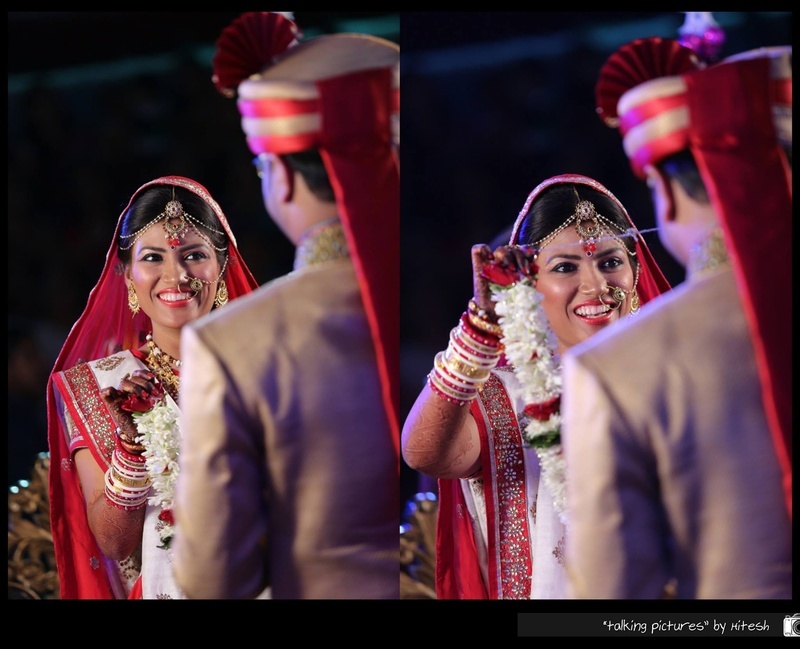 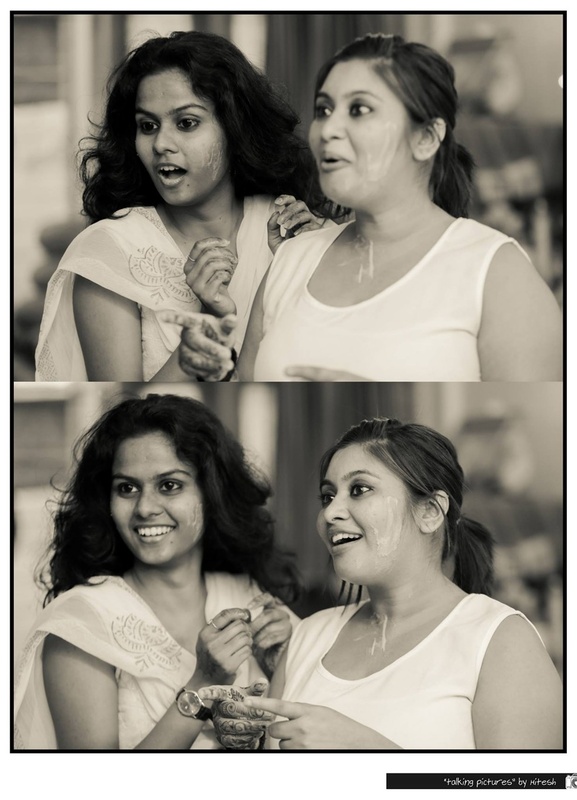 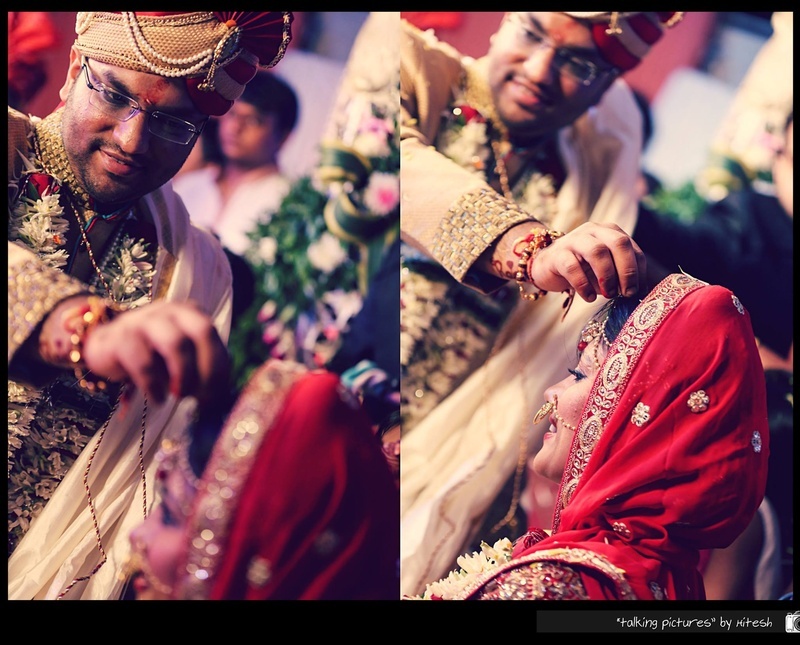 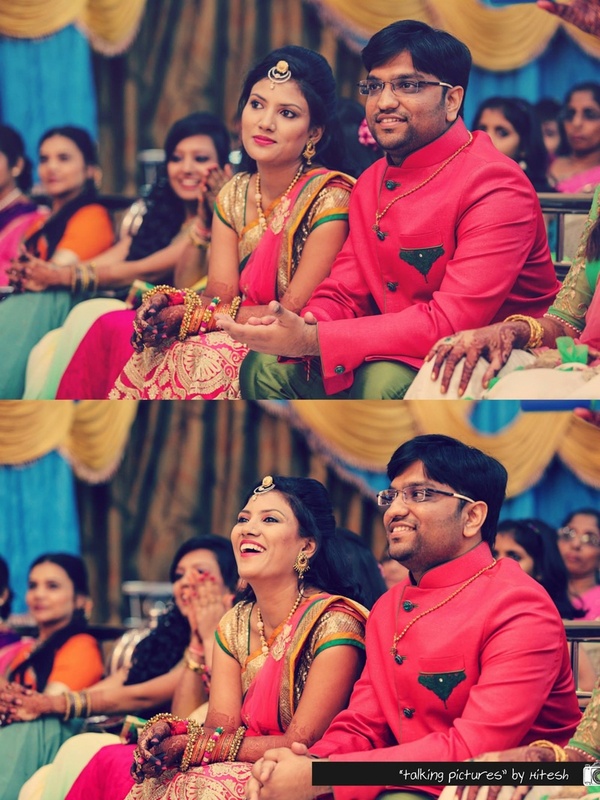 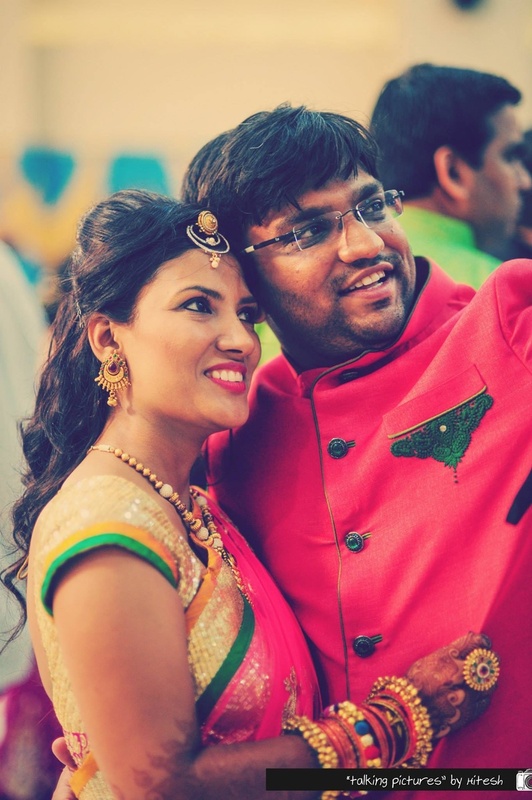 Hitesh from Talking Pictures captured every moment from this beautiful wedding just perfectly!